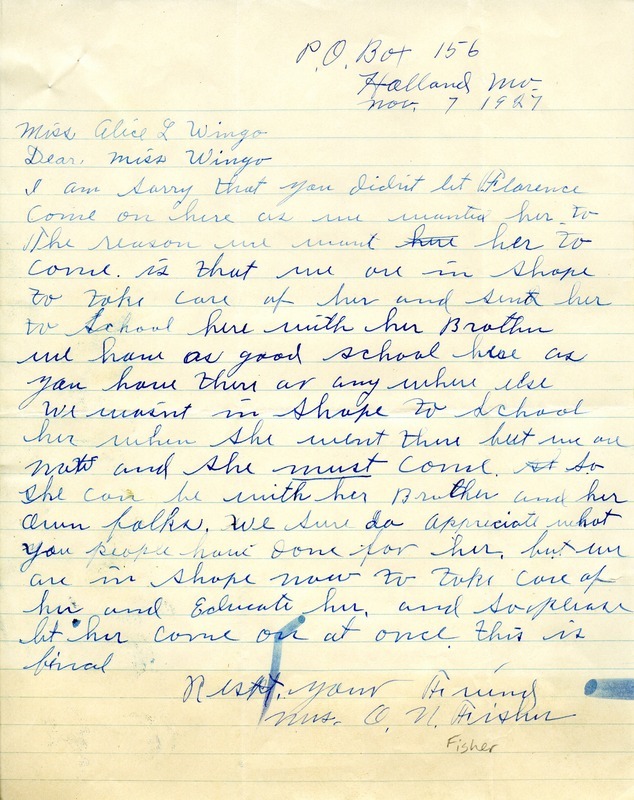 Mrs. Fisher insists that Wingo let Florence come to be with her father and brother. They appreciate what has been done for Florence, but are now able to take care of her and the school there is a good one. Mrs. O. N. Fisher, “Letter to Alice L. Wingo from Mrs. O.N. Fisher.” Martha Berry Digital Archive. Eds. Schlitz, Stephanie A., Sherre Harrington, et al. Mount Berry: Berry College, 2012. accessed April 20, 2019, https://mbda.berry.edu/items/show/4155.